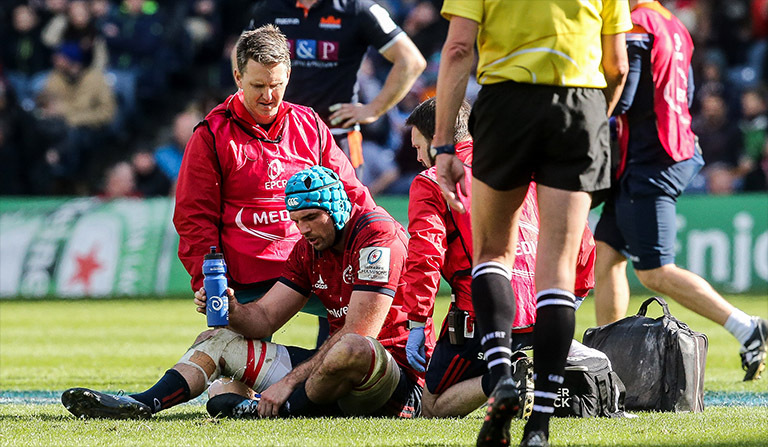 Munster scrumhalf Conor Murray says Pascal Gauzere’s decision to reverse a penalty because of a late hit on lock Tadhg Beirne in their Champions Cup quarter final win over Edinburgh was “100%” correct. Beirne has been criticised for “milking”a challenge by Edinburgh prop Pierre Schoeman late in the second-half that resulted in referee Gauzere reversing a penalty against Munster that gave them field position for Keith Earls’ decisive score. “In slow-motion it actually looks a bit worse than it is, but in real time it’s a penalty. Every day of the week it is a penalty.” Murray told Virgin Media’s Sinéad Kissane. “You’d have to ask Tadhg how badly he was hurt. But by the letter of the law it was 100% a penalty.